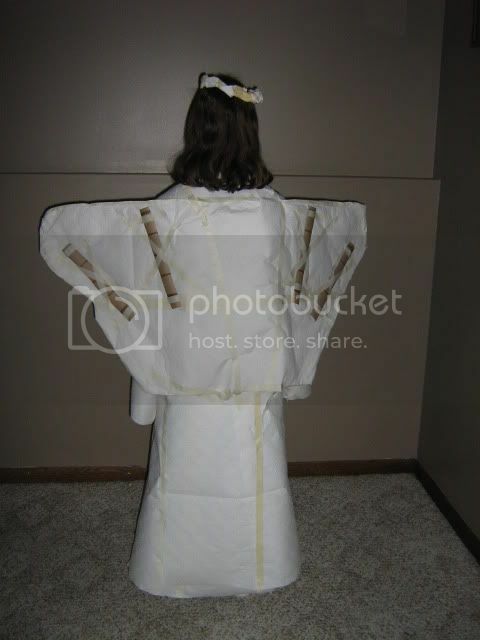 Can you make a costume for All Saints Day for our readers to guess? This is just for fun. All ages welcome. Send your pictures to share to wcwcatholic@gmail.com. Grace is wearing a paper towel nun costume. Email me at wcwcatholic@gmail.com and give your opinion of which saint this costume most reminds you of. 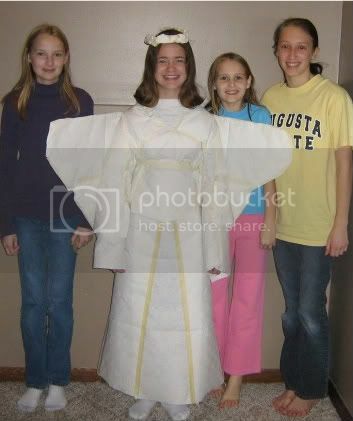 The three pictures at right show an angel costume made completely out of a roll of paper towels and masking tape. 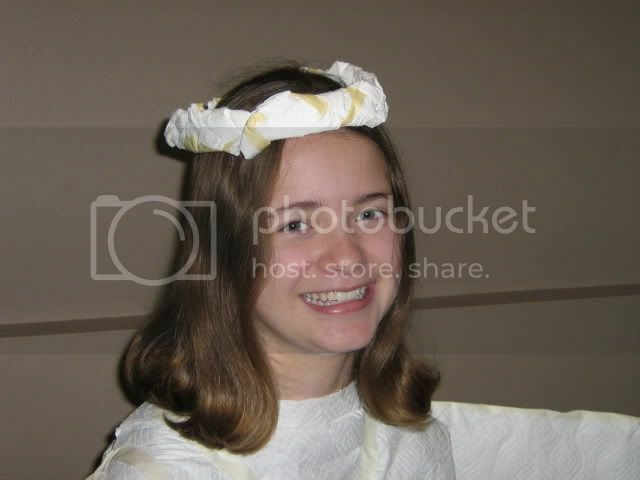 The halo is braided paper towels and note the use of the cardboard tube for support. This costume looks great! Apparently it is not good for walking up stairs in though. Great job girls. Way to "raise the bar!" Katharine is donning the paper towel garb of a famous female warrior saint (note the sword below). Can you guess who it is? Scroll down to see the answer. Can you guess Joey's saint? Scroll down to see the answer. Thomas (above) is a saint whose feast day is in November. He is holding a paper towel mouse. This saint is often shown with a mouse, cat and dog. Scroll down for the answer. And if you want to try to make a paper towel mouse, cat or dog for this saint, take a picture and send it to me at wcwcatholic@gmail.com .